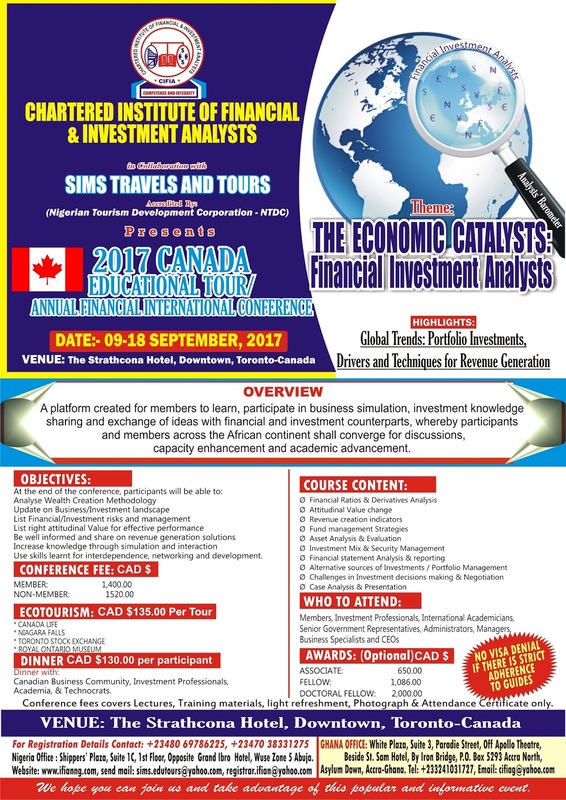 The much anticipated Annual Financial International Conference here again! This is your opportunity to get legitimate purpose of travel to Canada. Conference invitation letter approved by the Canadian Immigration will be provided for the purpose of visa application. 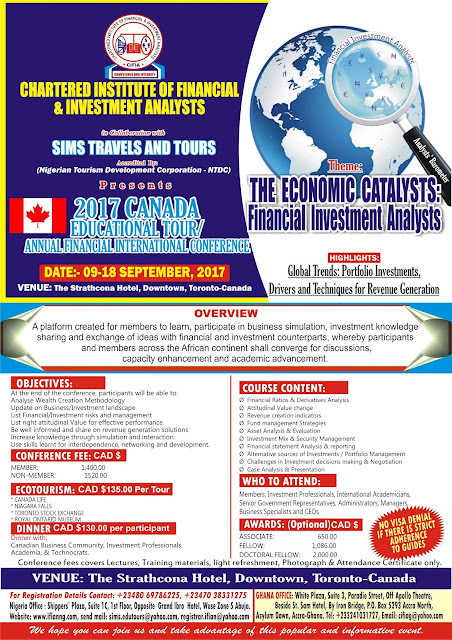 Kindly visit >>>>>>> http://ifianng.com/education-tourism-financial-investment-international-conference-toronto-canada-2/ or call +2347067812769 for more details.